Tahoma is your daily companion allowing you to control, centralize and program all the connected equipment of your house or flat, wherever you are. 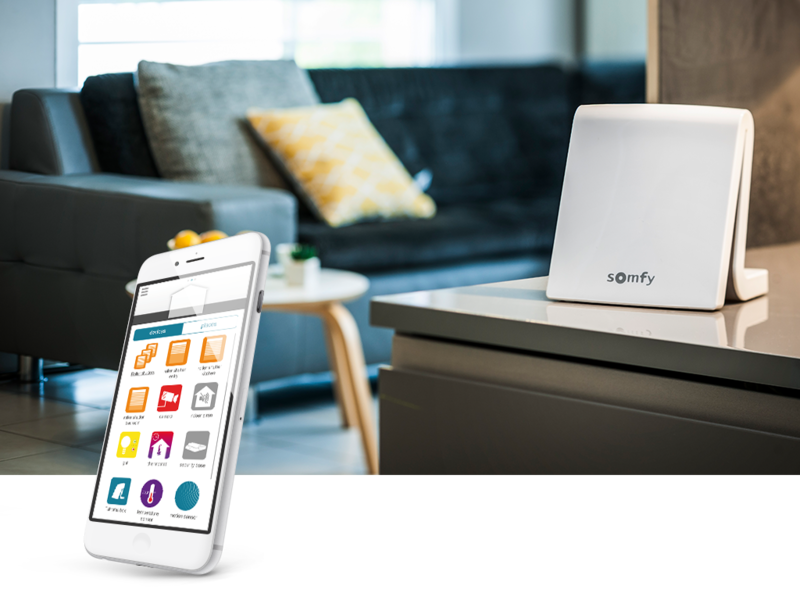 Tahoma is compatible with Somfy products and open to major brands of home equipment. Tahoma is designed to make life simpler for you, and free you from day-to-day constraints, in a straightforward, easy-to-use way. Tahoma helps make your home more comfortable, more secure and more energy efficient. And gives you much more time to enjoy your day to the fullest! Z-Wave is a wireless communications protocol used primarily for home automation. It is a mesh network using low-energy radio waves to communicate from appliance to appliance, allowing for wireless control of residential appliances and other devices, such as lighting control, security systems, thermostats, windows, locks, swimming pools and garage door openers.